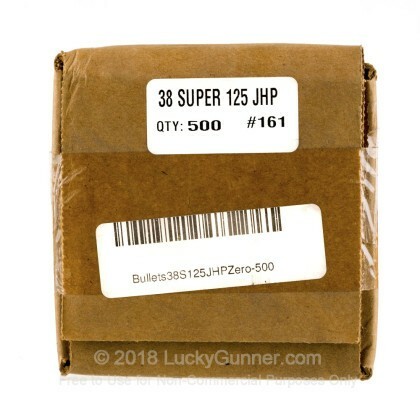 This pack of 500 jacketed hollow point .356 inch projectiles is great for .38 Super handloaders who want to produce their own self-defense ammunition. 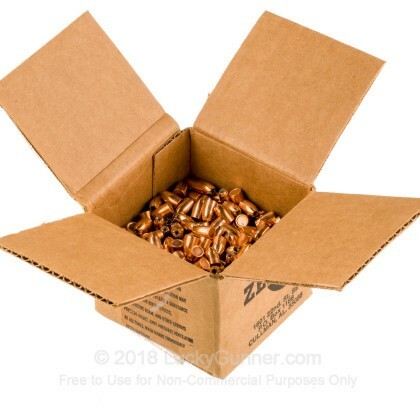 These bullets are also great for indoor range and match use as their backs are fully coated by the copper jacket and will spread less lead in the air during firing. Shooters and handloaders all around know the Zero Bullets name from the mid-nineties when they first started selling both projectiles and finished ammunition at gun shows in many southern states. Today, Zero Bullets maintains that excellent reputation by using new methods of production while maintaining the same level of quality and precision that they've always been known for. The 125-grain bullet weight is used by manufacturers like Corbon and Buffalo Bore to produce some flat-shooting, hard-hitting .38 Super ammunition. It possesses the potential to be loaded to very high speeds while maintaining relatively low felt recoil. Zero Bullets use true copper jackets that will withstand high velocity and spin without separation from the inner lead core. The hollow cavities of these projectiles are cut high on the bullet and have their jackets pre-serrated for reliable feeding and expansion respectively. Q: I am looking to load 38 Super in major division at USPSA matches. Will these bullets hold up to the high velocities that will be needed to make 165 + power factor? Thanks! 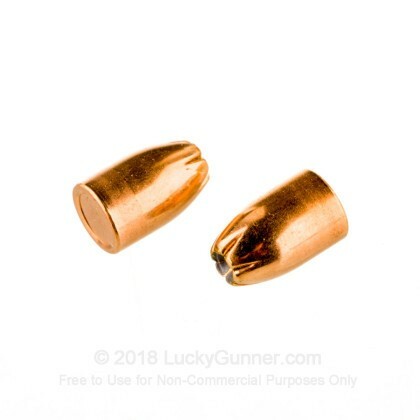 A: These should hold up very well in in .38 Super load as long as they are not used in a compensated pistol The plating will tend to flake off due to the compensator.